Perhaps five years ago, this would’ve sounded like the snobbiest of ideas for a day out with a friend. Today however, there are more high tea events in the CBD than seagulls at Bondi beach (okay, not really). High teas are one of the most thoughtful presents you can give a girlfriend, sister or mother for their birthdays. Enjoy pleasant conversation while nibbling on small sweet and savoury treats and sipping on champagne or a cocktail. This trending Groupon deal comes with rosé, scones, classic high tea sandwiches and some delicious desserts with a modern twist. I’ve personally never experienced the wonders of an escape room game, but I’ve heard great things. For those who don’t know what an escape room is, it’s quite simply a game in which players attempt to solve a series of riddles using clues, hints, and strategies to physically escape the room/s. It sort of sounds like the grown-up version of ‘murder in the dark’. This Groupon deal in particular comes with refreshments in the lounge area and a tongue-in-cheek detective photo shoot. There are six rooms available and they are all based on historical Australian events. If you’re looking for a personal day to feel relaxed and rejuvenated in a private space, a spa day is perfect. Day spas, with or without the coupon, are going to be exxy; it will still be a ‘treat yourself’ occasion. This deal on Groupon comes with an insane treatment package: a one hour Swedish massage, a half hour infrared sauna session, and a 15-minute Hydrovita massage experience. You’ll also receive tea and custom-made chocolate. What’s not to love? This interactive horror experience is one to add to your bucket list of strange things to do on a Wednesday night. The deal reads: “Come for an unforgettable night of horror to experience the mystery surrounding a ghoulish lake where an ancient ritual went wrong. The dark acts committed in the past have created powerful shadows and folks go by the water after dark and come out changed, they see things and hear voices that aren’t there.” Perhaps this one isn’t for the faint hearted. Seriously though, this deal is selling fast; all Saturday nights are booked out for the next two months. When I think of fine dining in Sydney, I think of French cuisine. There aren’t many French restaurants in Sydney compared to Italian, Thai and Chinese; it would be the most appropriate style of food for a special night out in the town. The best deal on Groupon for this is ‘The Little Snail’. As someone who’s visited twice, I can assure you it is an unforgettable dining experience. Without trying to sound like a 55-year-old North shore uncle that looks like Matt Preston, the restaurant has great service, a warm atmosphere and a mouth-watering menu. Try mixing up your social life activities by going to a comedy club. It might not be Kevin Hart standard or the next Bill Burr, but it’s a bit of fun on a week night after work to just laugh or sigh at some innocent comedy. You also usually get a few free drinks. I’m a horribly frugal girlfriend and gave my boyfriend a $9 Groupon voucher for Christmas to watch some comedy with me; we’re booked in for late February so DM me in the near future for a personal review. Speaking of reviews, they are all squeaky clean 5 stars, and one reviewer commented on how they wish it went for longer. 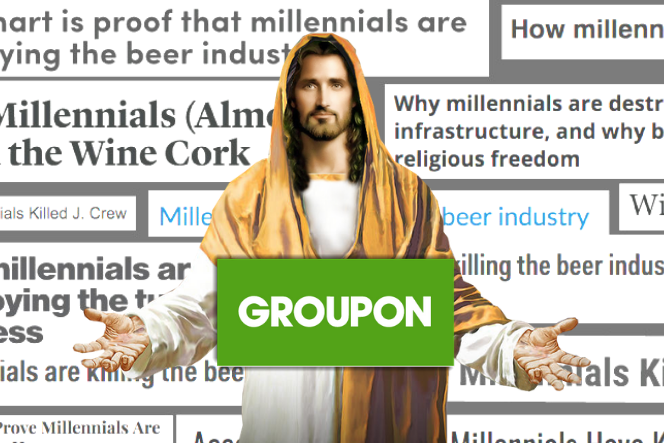 Which Groupon deal sounds the most appealing to you?